It’s always fun when the whole gang is together!! Episode 104 takes us to the NEW Hall of Justice Comics & Collectibles!! If you haven’t been to HOJ Comics, you definitely need to go visit! If you’re looking for a new comic book shop, even out of state, Jon is one of the best owners there is!! As normal when we get together with Jon, he gives us the low down on some of the new comics coming out, and any changes he see’s since they moved to the new location! Our #popcultureclassic for this episode was 1999’s, The Matrix!! Sounds like many of us have very fond memories of this movie, even if some of those memories are short, because some of us are young! We get to talk about whether The Matrix would work as a movie now, how it holds up, and if all of these types of movies comes from this movie. Also, is there too much “bullet time” in these movies? Remember, you can ALWAYS let us know what you think! 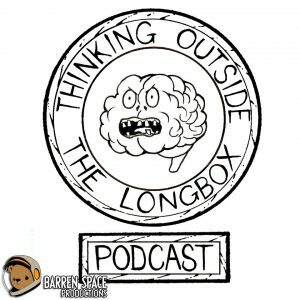 We can only think of so many things to talk about every other week, and would LOVE to get some feedback and ideas from all of you out there who are listening!! You can send mp3s and email to our email address. Also, join the conversations on our Facebook Page and Twitter Page. If you have good feedback, please leave it for us on iTunes and Stitcher!! That’s one way to help us climb the ranks into podcast glory!! You can ALSO leave us voicemail!!! Call the Michael Kuyrk memorial 970-573-6148 and leave us a hilarious message!!! PLUS FOR AS LITTLE AS $1/MONTH you can support us on Patreon!! A lot of cool extras on there for those who support! !